Formulate recommendations on how to support the development of a sustainable bioeconomy under the EU Rural Development Policy. More information about the ENRD and the Thematic Group on “Mainstreaming the Bioeconomy” are available at https://enrd.ec.europa.eu/greening-rural-economy/bioeconomy_en. 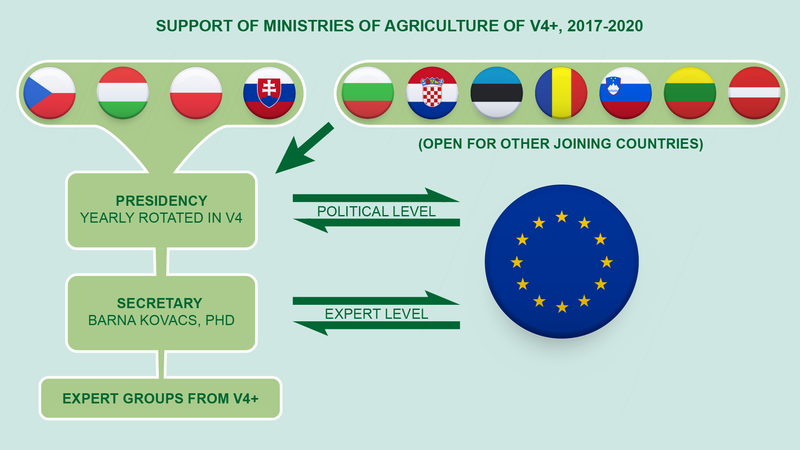 The BIOEAST Initiative – the Central-Eastern European Initiative is aimed at the steering of the cooperation in bioeconomy for the knowledge-based agriculture, aquaculture and forestry by means of research and innovation to collectively develop, beside the primary production sectors, the chemical and industrial processing, environmental protection and energy resource management. The BIOEAST initiative is oriented towards the development of sustainable circular bioeconomies in CEE countries, to benefit the society by creating jobs and growth and to provide framework conditions favourable to the development of circular economy. Since July 2018 to July 2019 the BIOEAST initiative will be developed under the Visegrad Group presidency of Slovakia. More information about the initiative is available at http://www.bioeast.eu/.